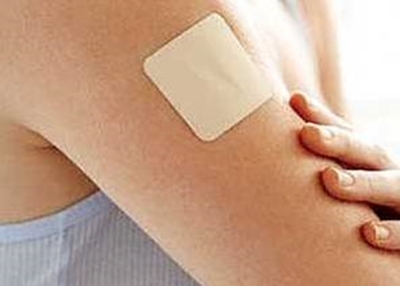 Based on outstanding work with a long-time Health Care customer, a Medical Converter earned a new project, their first-ever transdermal product. They regularly perform complex medical converting of a variety of materials, including hypoallergenic medical tapes, films, non-woven fabrics, foams and other flexible materials used in the production of medical devices, equipment and skin contact application. Excess part rejection, meaning extreme unplanned controlled substance waste. Taken together, this meant what had started as a highly profitable project quickly turned negative. The converter reached out to the product manufacturer 3M for help, who suggested they contact Midway because of familiarity with the material. Reconfiguring the die layout to eliminate parts being cut simultaneously across the entire width of the die; this allows increased press speeds while maintaining part quality. While parts are farther spaced, the calculated yield increased. Machine sharpening to produce unparalleled consistency and uniformity of blades, further enhancing part quality with tight-tolerance materials with the added benefit of equal wear across the die, enhancing die life. Because of the unconventional layout, Midway guaranteed the converter that if the die didn’t perform as expected, they could return the die for a refund. Midway sent a technical representative to be on-hand at the converter for the die’s initial run. The job ran flawlessly. The parts were on-spec. The press operator and production manager were amazed that by the end of the first shift, yield surpassed the converter’s original projections by 17%. Best of all, the costly waste was reduced by over 10%, saving money and also mitigating risk the waste material could be disposed of improperly by mistake.